it's time for another challenge from the Everybody Art Challenge Blog and this week my fellow design team member Alex has created a sketch for us all to follow. I have cheated slightly because the rectangle shape shouldn't really be on the card if I was following the sketch exactly, unfortunately the card just didn't look right without it. For a change I have used a rectangle shaped card which means I can enter it into this weeks challenge over at One Stitch at a Time - Anything but square. 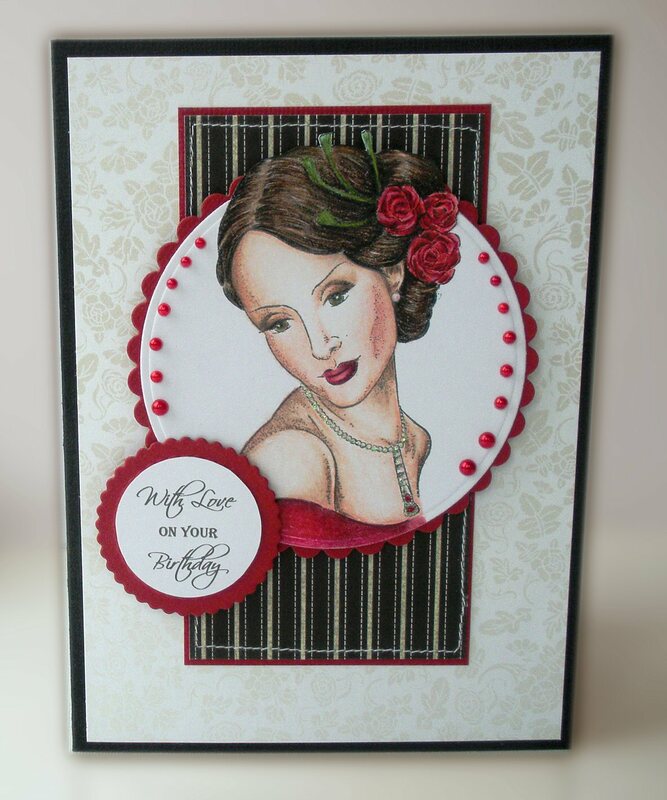 Medium - Prisma Pencils Card/Paper - Black & Red Bazzill card, the striped paper is from DCWV and I can't remember where the background paper has come from. Oh such a glamorous elegant card!